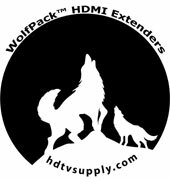 HDTV Supplys WolfPack HDMI to single CAT5 cable with Bi-directional IR send an video/audio transmission up to to 175 feet in an 1080p format. The HDMI transmitters combine HDMI video, audio and control signals and then transmit them through a single CAT5e cable. When the HDMI receivers get these signals, they separate the signals and rebuild video, audio and control ones and outputs them through the HDMI output. The HDMI to single CAT5 cable also supports bi- directional wideband remote IR(RX->TX and TX->RX), EDID call back and both input and output are the latest HDCP 1.2 compatible. The WolfPack HDMI to single CAT5 cable also supports the most advanced 3D video format with the highest 3D video compatibility on the market. With only one cost effective CAT5e/6 cable, you can extend HDTV sources from DVD players, Blu-ray Disc player, PS4, PC, and any other kinds of sources compliant with HDMI to distant display monitors including HDMI or DVI enabled TV sets or LCD PC monitors. The extender requires only one CAT5e or CAT6 cable. Support audio formats, Dolby True HD, DTS-master, etc. Support 3D signals (all 7 formats), such as Frame packing, Side-by-Side,Top-to-Bottom, etc. VESA DDC and hot swap technology (HPD). Support cascade to enhance extending distance. With the advanced design for the latest HDMI technology, deep color video, DTS-HD Master Audio or Dolby TrueHD audio, and HDCP supports and compatibility are all further insured. 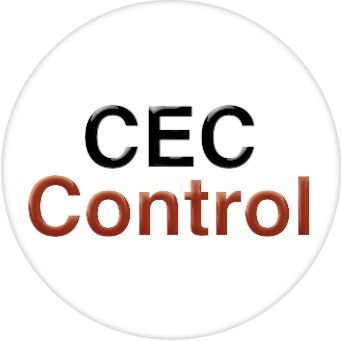 This flexibility makes HDCP compliant DVD players or PS3 transmit u™ost high quality video and audio with a greater distance at the minimal cost, when integrating several components apart. In addition, HDMI to single CAT5 cable is also equipped with bi-directional IR pass-through path. This bonus feature allows users to boost IR control distance and makes IR control possible through only single Cat.5/5e/6 cable including HDMI signals Compared to regular copper HDMI cable using a booster or repeater, or a fiber cable solution, it is great cost effective way to wire HDMI long distances. Only one (1) CAT5 or CAT6 cable is needed and are easy to install and terminate in the field to fit exact length requirements. Both the below PVC and Plenum grade CAT5e/6 are low in cost to fit most budgets. The HDMI to single CAT5 cable consists of a transmitter unit & a receiver unit. At the source end the high-speed externally powered transmitter transcodes HDMI signals over 1-CAT5 / 6 cable. At the display end, the externally powered receiver unit transcodes signals back to HDMI. Why not buy this WolfPack HDMI to single CAT5 cable today? 1 unit transmitter 1 unit receiver. Why not buy this HDMI to single CAT5 cable today? If this HDMI to single CAT5 doesn't meet your needs see our HDMI over CAT5e/6 comparison spreadsheet for other HDMI to CAT5e/6 extenders with different features or call us right now at 800-841-9238 to discuss your requirements.